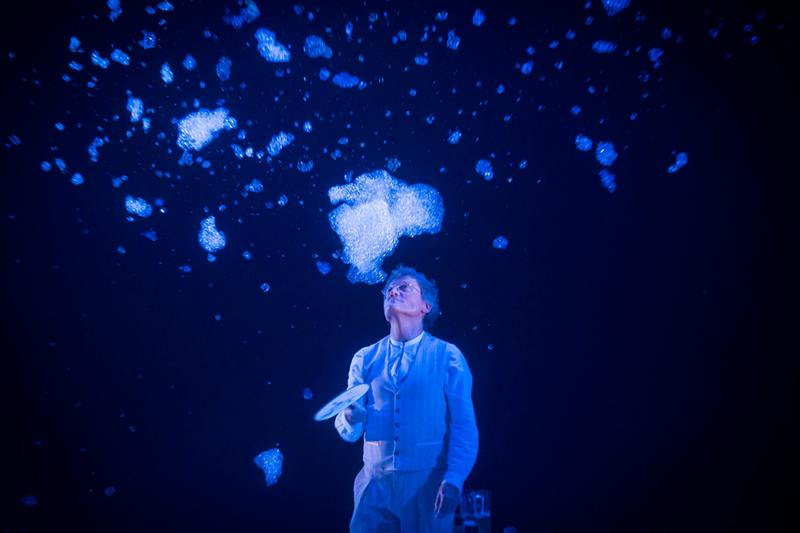 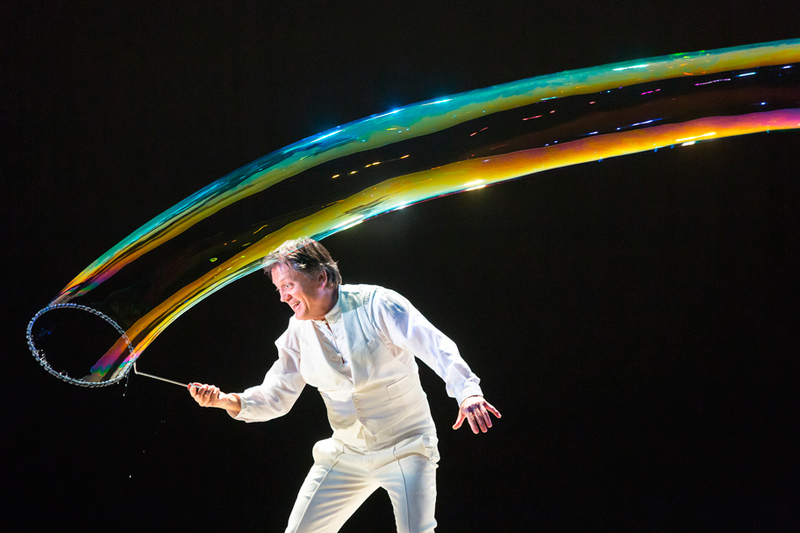 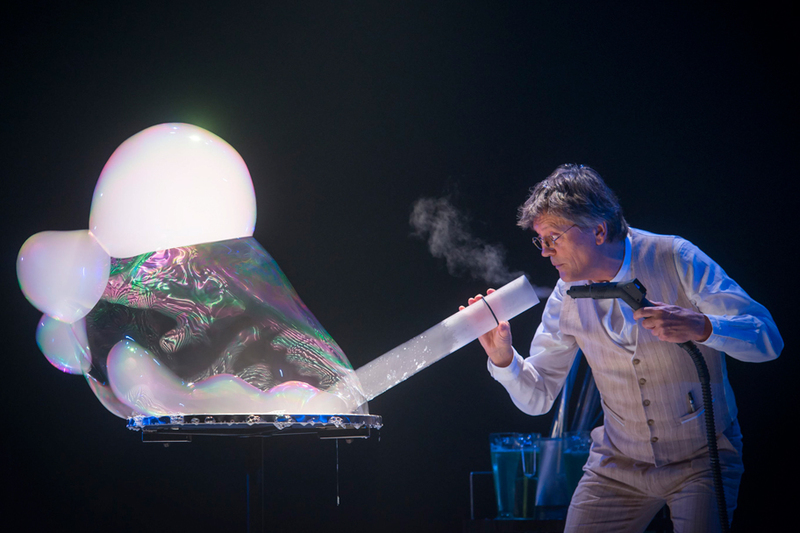 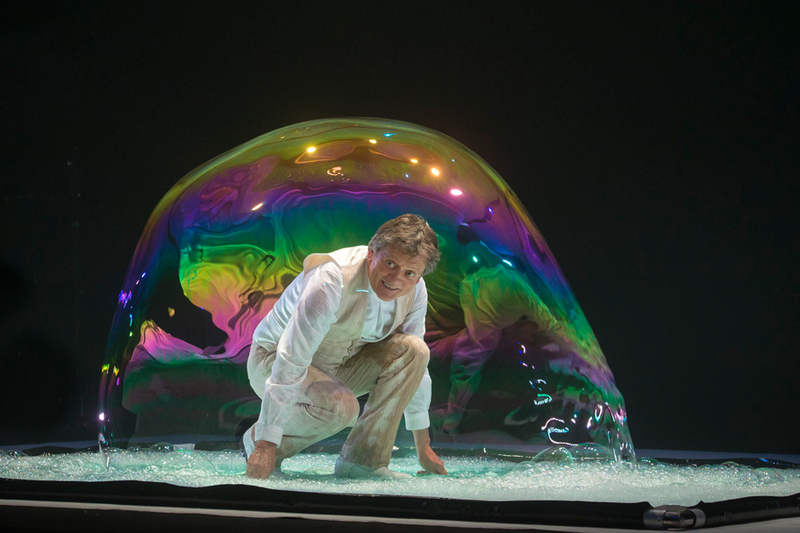 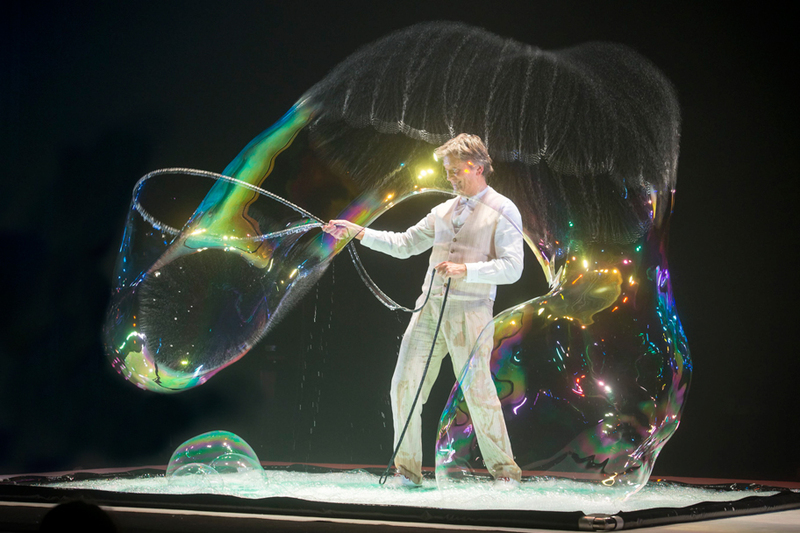 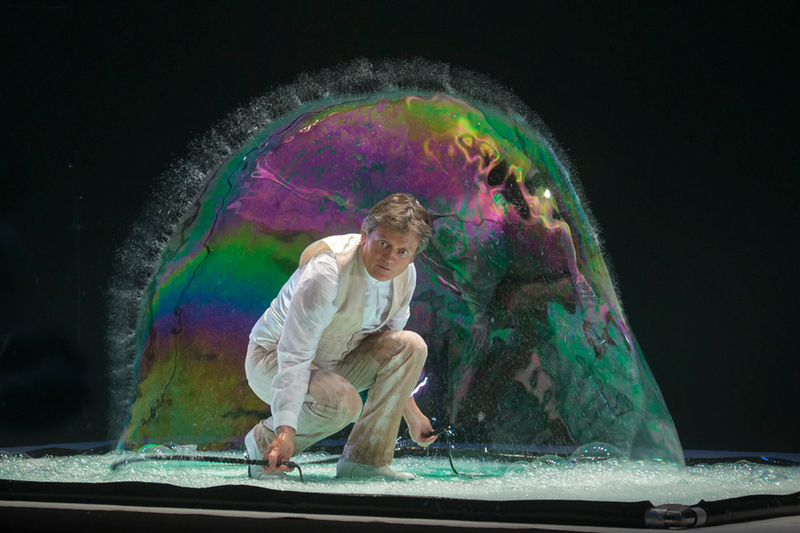 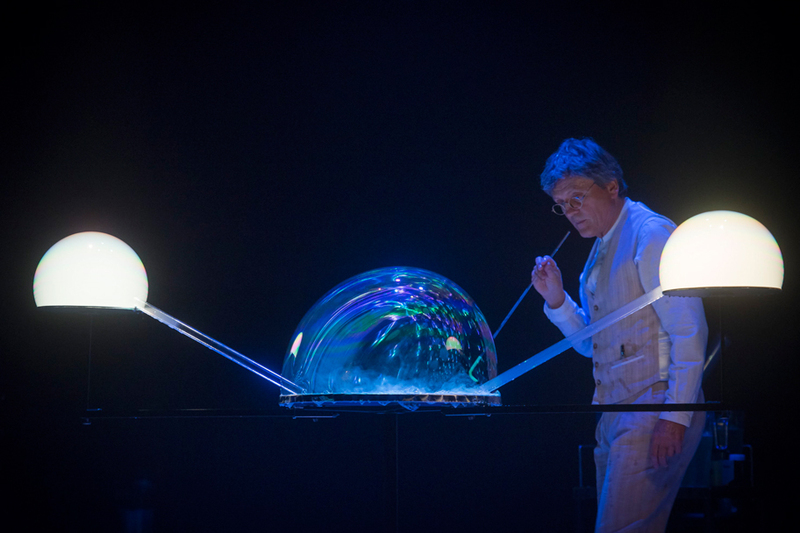 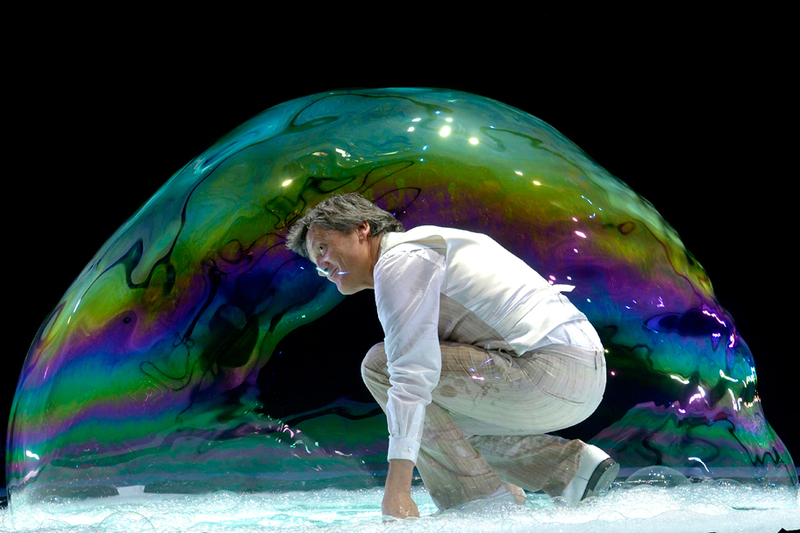 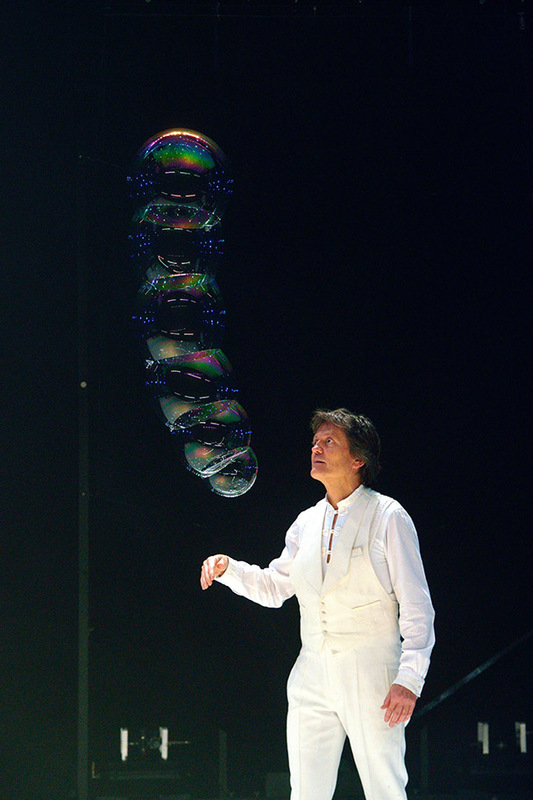 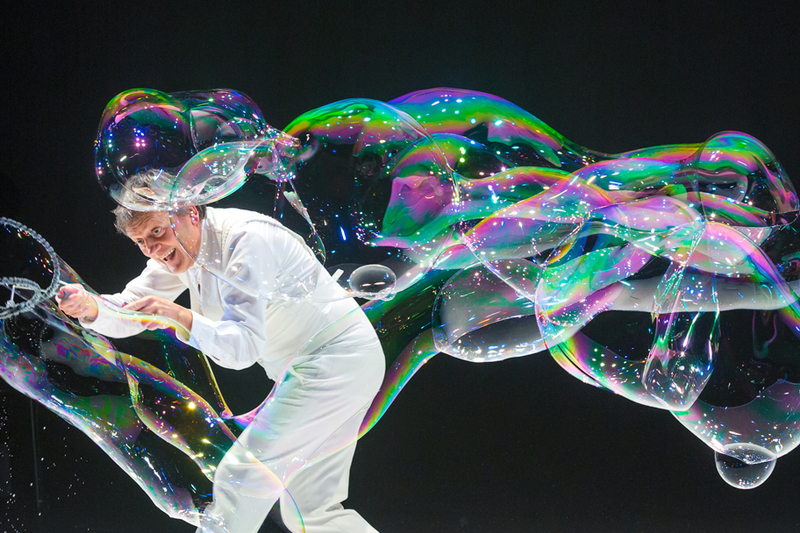 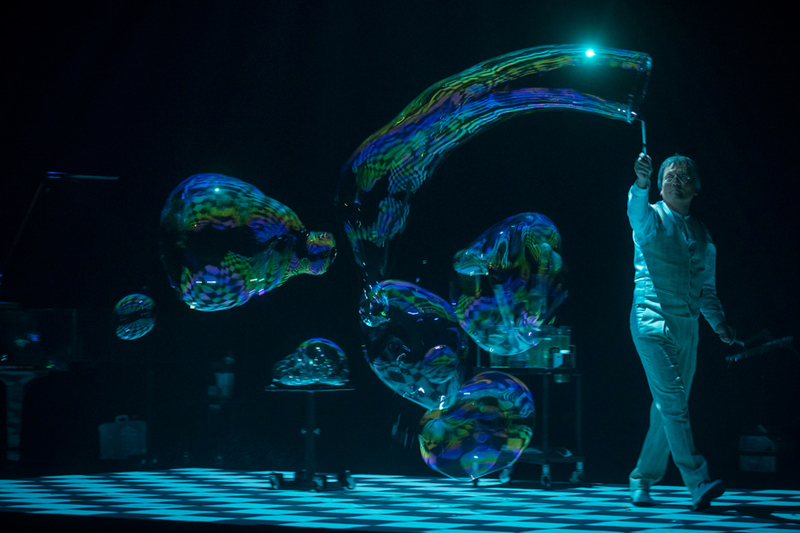 Pep Bou experiències is the newest show by world-renowned artist Pep Bou and his fascinating soap-bubble universe. 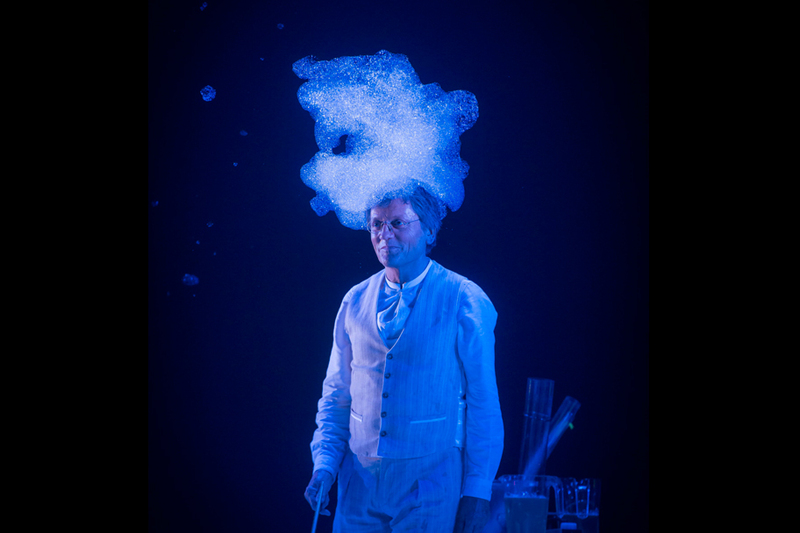 The performance, with memorable touches, is an impressive display of the constant research undertaken by this creator and alchemist in his laboratory. 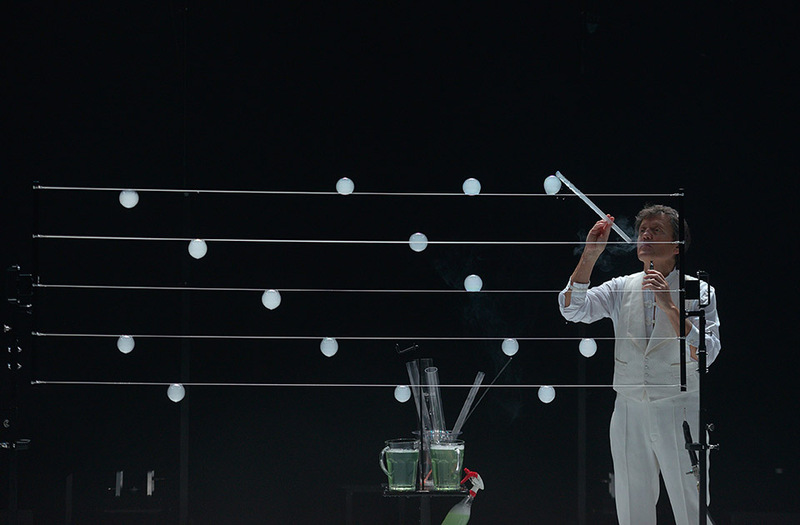 An unprecedented synthesis of an audiovisual and theatrical language that has stunned and amazed audiences on all continents. 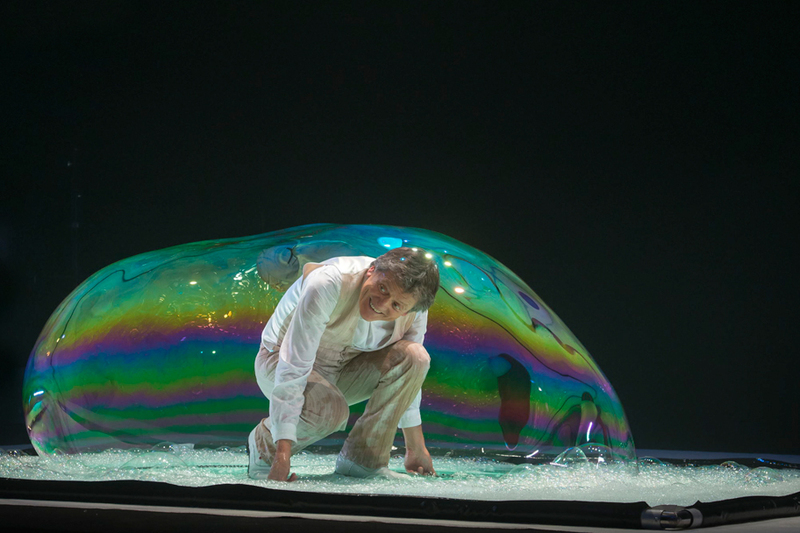 Pep Bou experiències takes viewers on a journey to poetic dreamscapes, using three simple—yet essential—elements: soap, water and live music. 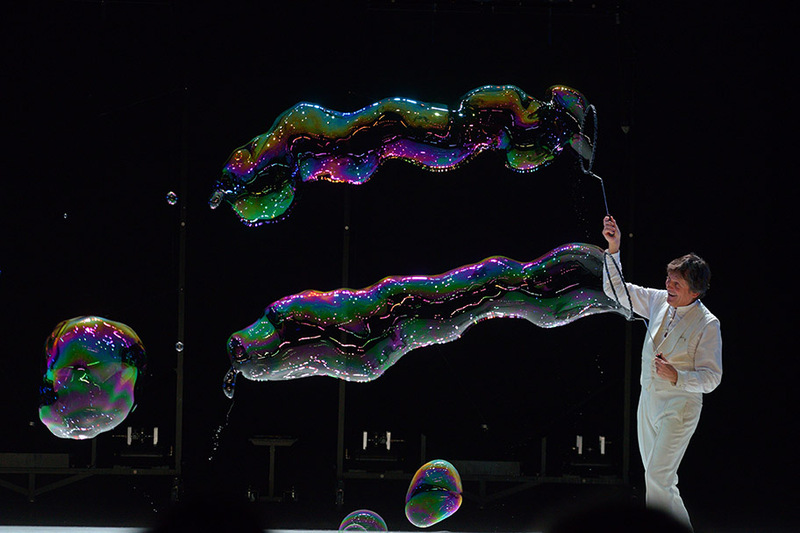 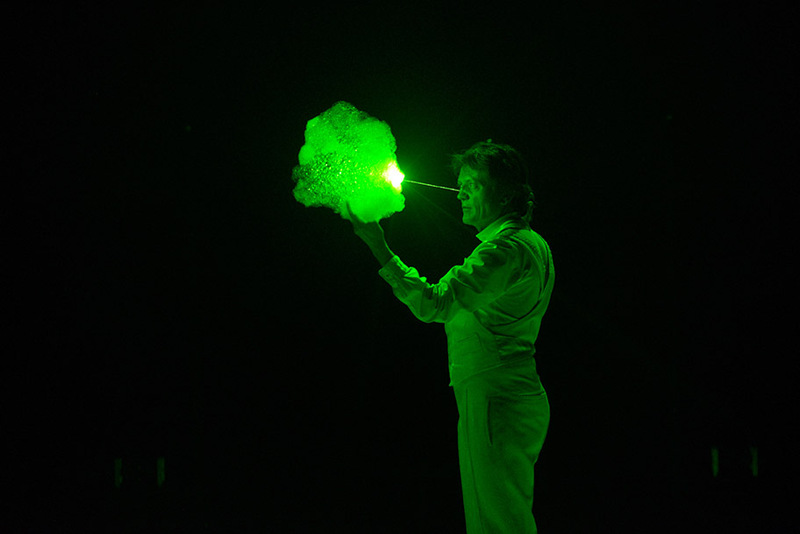 The show is the product of nearly four decades of experimentation with theoretical and practical knowledge from the world of physics. 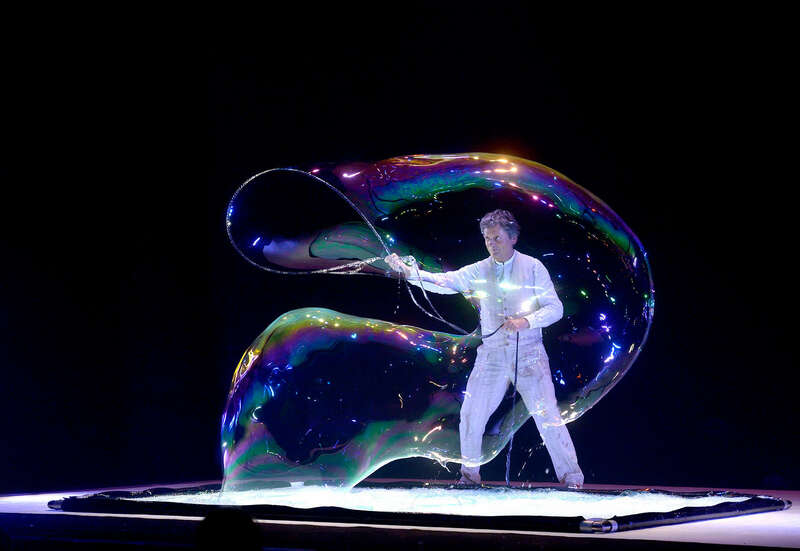 This knowledge has never been seen on stage before, and is now being showcased by this wonderful talent and gift to the world of performing arts. 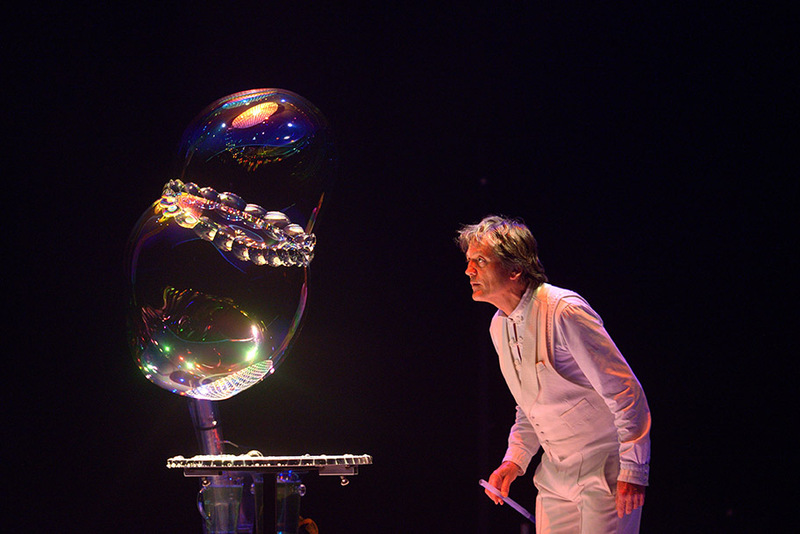 A unique performance, created by an eccentric and distinctive artist who has created his own stage language.